This breed originates from Singapore. 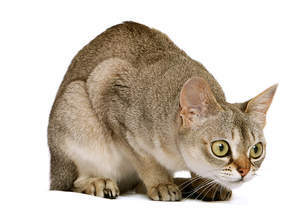 In 1975 an american couple, Hal and Tommy Meadow, returned from Singapore with a number of brown ticked cats. The brown ticked coat is common in cats in south east asia. On their return they started to breed this cat. The breed was named Singapura as this is the malay name for Singapore. 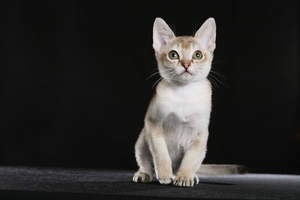 Over the coming years several more brown ticked cats from Singapore were imported and added to the breeding programme to strengthen the gene pool. 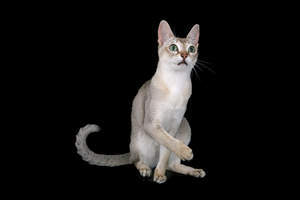 The Cat Fanciers Association granted the breed championship status in 1988. This was after it was found that a number of the breeding cats were carrying a recessive gene that caused a solid colour. These cats were identified and taken out of the breeding programme. 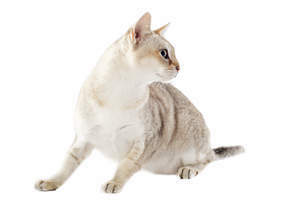 Today this breed is quite rare but it does have a number of dedicated breeders and followers. 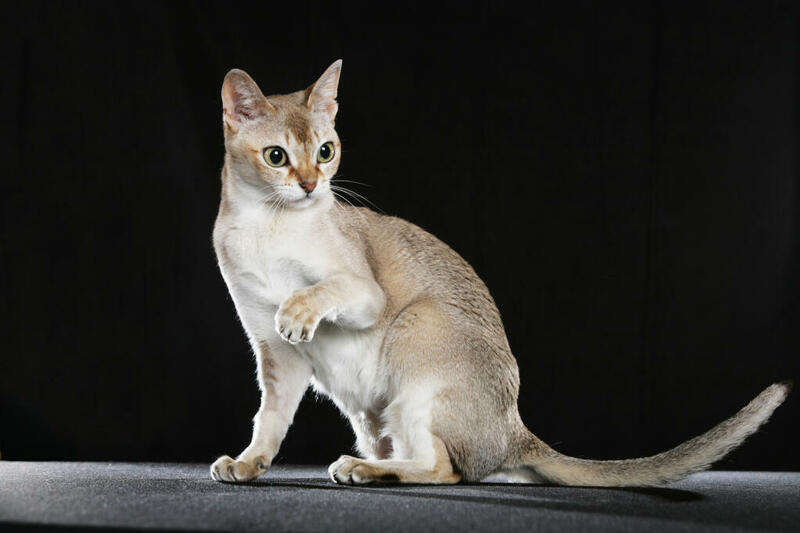 The Singapura is a very active, athletic and people orientated cat. 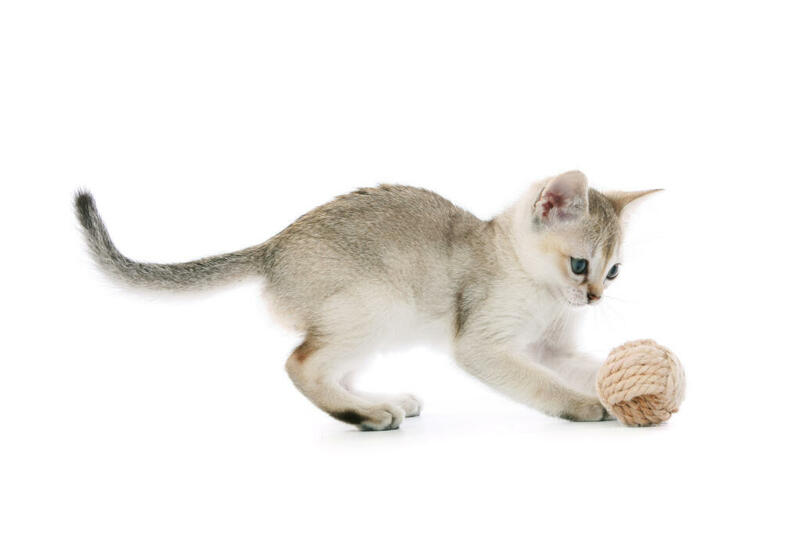 These cats are playful, curious and intelligent. They will always want to know what you are up to and will constantly seek interaction. They enjoy observing the world from high up, a lot of the time they will want to sit on your shoulder. 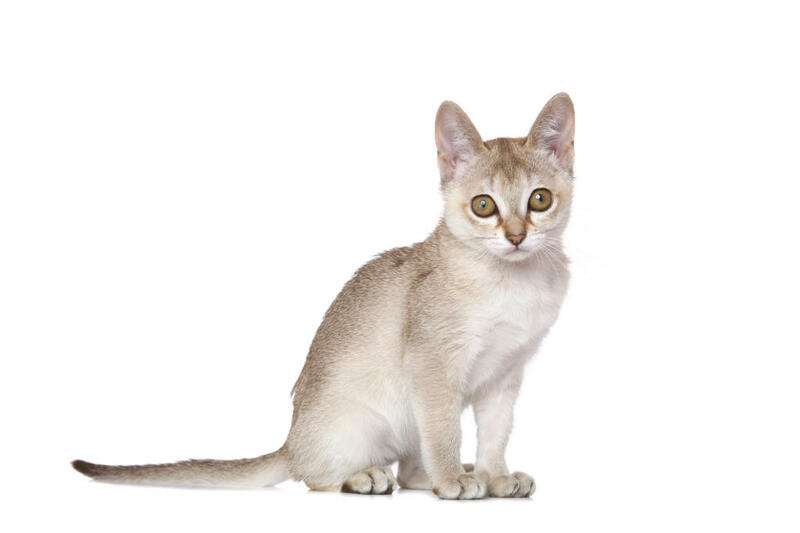 The Singapura makes a wonderful family cat as they love to play and cuddle up to anyone who will accept them. This cat fits the description exactly. Our singapura cat is kept inside as an indoor cat, but he is obsessed with the outdoors and therefore is always trying to escape. He was easily trained to open doors, come and jump when told, and has learned to use the toilet instead of a litter box. Our cat usually sleeps with someone and will curl up next to us if he is cold during the day. Even though he is 7 years old, our cat still plays like a kitten! We have never had to take our cat to the vet for problems, but here is a tip: DO NOT let your cat into the garage! 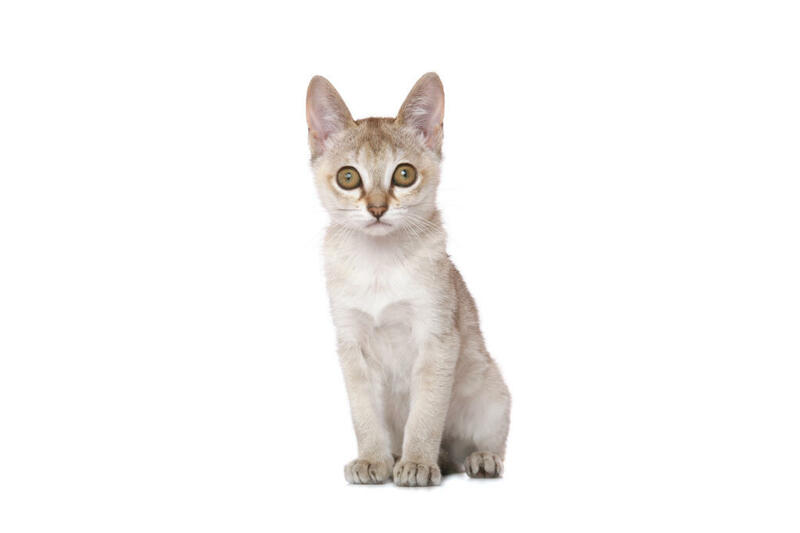 If you want a snugly forever-kitten this cat is definitely for you.